Any plans to make an ultimate form that dosen't change your sim's form or can allow them to do a human disguise? Hi I know that Vampires, Seasons and Spa Day are required for all parts of the mod but I have vampires and seasons and was wondering if it would still be possible to play even with some elements missing? It's still the same as the old mod though, just go to the basin and then consolidate ley energy (3sim hr cd) and a crystal should appear and you study it, except this time a tome should appear in your inventory after studying the crystal where you have to "read" it before learning the spell. At least that's what I think. I've played with the old mod before so I have a few spells already and the mod isn't giving me any new ones. Either the RNG is bad or I already have all the spells. I don't know. There's no list to know for sure. There is no mod to download at the provided link. Some kind of cheat or debug command or something I can do to have a sim just straight up learn all the spells would be nice. The process for learning individual spells is needlessly tedious enough with one sim. But when you're trying to have a family/household of magic users, learning all of the spells will take up all of the time your sims aren't spending at work or at school. Just something to consider for simmers who just wanna cut to the chase and enjoy the magic without the incredibly time consuming learning process. I feel the same. And it is especially discouraging when receiving repeat crystals. I downloaded the mod, and when I place the Ley energy basin, I click on it and my sims say they cant get to it, even though there is plenty of space around it and there isnt anything in the way, am I doing something wrong? I really love the mode but I need some clarification on what to do. What I did so far was draw in the ley energy from the basin as usual, I summon crystals on this basin and am learning the spells. I heard that there is an enchanting skill that I also could learn so I want to learn more about that. I'm also confused on ultimate lifestates. How do I get an ultimate life state and explain the immortality trait to me and how I can obtain it. Because I am level 10 already and nothing really happened. Do the crystal have another use other than just learning the skills? I have so many questions lol. So far it is has been pretty repetitive and I have been getting the same spells (such as conjure insect 10 times in a row after waiting 3 hours each time). May I suggest that for story telling purposes can you add a debug for the spells so some people can get to the point instead of going through this process. I also would suggest potion making later down the line. You guys are doing great things and I appreciate all that you do. For the November update for Get Famous we are aware that the code will be changed for the base game and will make all script mods including AOM incompatible for that time being. We will update the mod to the new code in november when we learn how to do so. In other words come November's patch Art of Magic will NOT be working at all , none whatsoever. So just a heads up before the concerns come in about that. to answer majority of the questions , There will be more update information on the main mod post soon. for some reason the thread in our sims4studio doesnt allow us to add all the text and alot of it was cut off once saved! we are not sure how to fix that, or if something is wrong with our post, but if anyone knows how let us know here and we can add the instructions for getting started and info about spells and spell tome book and such from there. Im sure most of these questions can be answered once we are able to get the info to you! being that there is only 1 person working on this mod at once right now, and others that do not have much time to dedicate to it, we are not hasty with updates. we know you all are expecting more around that, but I and we are doing what we can when we can. 1.yes you can play the mod without some of the packs required . we will eventually learn to make it base game but some parts of the mod will not work with out it. meaning you probably will find it pretty useless. 2. we will NOT be making a debug or cheat to make things "easier" you will have to play through the mod and learn your way up. making cheats and debug assets to the mod requires knowledge we don't have. once instructions are posted you will be fine! 3. we are aware about the Ultimate form that does change the sim's apparence. 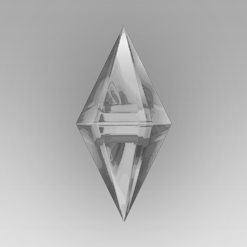 it is a hidden physical trait that was given to sims once they reach a certain level and have a certain trait cloned. one of previous ministersofmagic added that to the mod and the rest of us have yet to pin point how to remove it or at least make it optional. it is a bit tricky to locate in code and we do apologize for your elf like sims lol. all we can say now is "it will be gone soon!" I came to inquire about the November change of script so its awesome it was already answered lol. But as I was reading it I came upon your "elf" issue. When I was making a sim the other day I removed "all skin details" and when I did elf ears showed up..i had no idea where these elf ears were from cause they weren't any I had downloaded. They go away if I choose a different skin detail that takes up the ears slots..i was wondering if those elf ears were possibly from the art of magic , I am actually in the process of purging my games files in prep for the new pack so Ill end up finding out either way but figured I would ask if you knew this was a common oops wit the mod ( its not a major deal since you can get rid of them by replacing it with a different skin detail but sometimes townies with no skin details show up with them and so i have to go to cas to change it)If it's not this mod doing it , well my search continues lol but wanted to inquire. P.s. I love this mod, it keeps getting better with every expansion that provides different animations for you to utilize them into the mod, its awesome you guys keep on top of it and I enjoy having it in my game. What does the "consolidate ley energy" do? Nothing happened to me except having full mana. Is that the only thing?